Choosing the best Roth IRA account provider can be tricky if you’re not a financial expert, so we put together this detailed comparison chart to help you select the product that best fits your unique requirements. 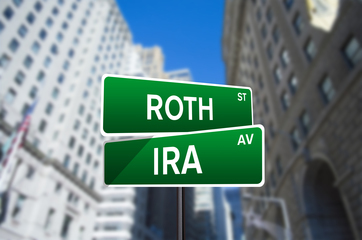 Simply enter a few simple pieces of information and we’ll sort through the top investing accounts that support Roth IRAs to let you know which one is best for you. A Roth IRA is a financial account that you can use to save tax-advantaged money for retirement. You can use a Roth IRA to hold all kinds of assets, including savings accounts, stocks, bonds, or real estate. Each year, you can contribute up to $5,500 to your Roth IRA. Unlike other retirement accounts, you cannot deduct your contributions from your income when taxes are due. Instead, you don’t have to pay taxes when you withdraw the money. Even if you earn hundreds of thousands of dollars from your investments, your earnings are tax-free! Do you want to purchase stocks, bonds, or other investments or do you want to hold the money in your a savings account or a CD? Though the best Roth IRA providers will offer a mixture of options to you, some, especially banks, only allow you to keep the in specific types of assets. If possible, try to avoid keeping too much in a savings account or CD as they don’t earn much interest, often less than inflation. Since the tax benefit of a Roth IRA is that you aren’t taxed on your earnings, it’s in your best interest to invest in longer-term, higher return investments to maximize the benefits. Since you’re saving for retirement, you likely have a long time-horizon for your investing. That means you’ll probably want a brokerage that offers the ability to invest in diversified mutual funds that hold stocks and bonds. If your strategy is more advanced, you might look for the ability to purchase options or other financial products. If you want to be completely hands-off, a robo-advisor company would be a good choice. The software will automatically manage your investments for you. All you need to do is make the contributions. Fees create a huge drag on your investments’ returns over time. For example, a $10,000 investment that earns 7% annual returns will have grown to $76,122.55 after thirty years. If you pay a 1% management fee each year, you’ll instead have $56,307.88 at the end of thirty years. That’s nearly $20,000 less from just a 1% fee. Traditional financial advisors and robo-advisors both tend to charge annual management fees. Mutual funds also have what is known as an “expense ratio” which is the cost for investing in the fund. You’ll need to decide what fees you’re willing to pay to keep your money invested. You also have to pay attention to transaction fees. Most brokerages will charge you a fee for every stock purchase or sale you make. To encourage you to use their products, many will waive the fee on transactions involving their mutual funds or ETFs. If you want to invest in a specific fund, you might want to open your Roth IRA with that fund’s management company to avoid fees. Many investment companies have account minimums that you maintain and most mutual funds have minimum initial investment requirements. If you’re investing just a small amount you might not meet the minimum everywhere. 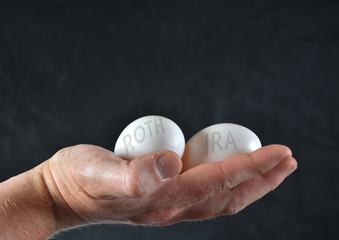 The best IRA companies offer reduced investment minimums for Roth IRA accounts because of the contribution limits. If you meet the account minimum but still don’t meet the investment minimum for the mutual fund you’d like to buy, you can consider purchasing the ETF version of that fund. ETFs are diversified buckets of stocks and bonds just like mutual funds, but you can buy individual shares with no minimum beyond the share price. The convenience of keeping your financial life at a single company is significant. If you already have a work-sponsored or taxable investment account with a provider and the fees, investment options, and other factors are, similar why not open your Roth IRA at the same company? Many companies offer relationship bonuses for keeping your accounts with them. You could benefit from increased interest rates, better customer service, or lower transaction fees for opening your Roth IRA with a company you use for other financial services. Many investors use complex investing strategies that rely on mathematical indicators as to whether a stock’s value will rise or fall. 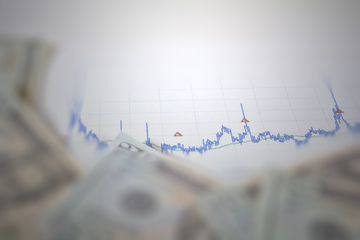 If you’re one of those investors, or just like looking at breakdowns of your investment performance, you’ll want to open your Roth IRA at a company that provides that information. Some companies provide just a bare bones research utility or performance tracker while others let you break down your investing performance by account, investment type, or specific holding. The best IRA account is useless if it has a bad user experience. If you can’t figure out how to use the user interface to invest your money, check your balance, or withdraw funds, then you can’t use the account at all. All other factors equal, you should open your Roth IRA with the company that has an easy to understand website, simple to use tools, and a generally high quality user experience. When it comes to your money, you can’t afford to work with a company with a bad reputation for customer service. If you have trouble with your account, whether it be depositing money, withdrawing it, or purchasing an investment, you’ll want to know that you can get help if you run into trouble. On top of high quality customer support, many Roth IRA providers offer additional personalized service. Your provider might be able to offer a CPA to help you at tax time, or connect you with a financial advisor who can give your retirement plan a once over so you can feel confident that you’ll be able to retire on time. Some companies restrict these additional services to customers with large balances, but if you hope to reach those amounts one day, the availability of these services can be an important factor to consider when choosing where to open your Roth IRA. The best IRA rates highly in this category, as well as the others we’ve mentioned.